Why don't use the Pic-Ap-Board for a home chalkboard? 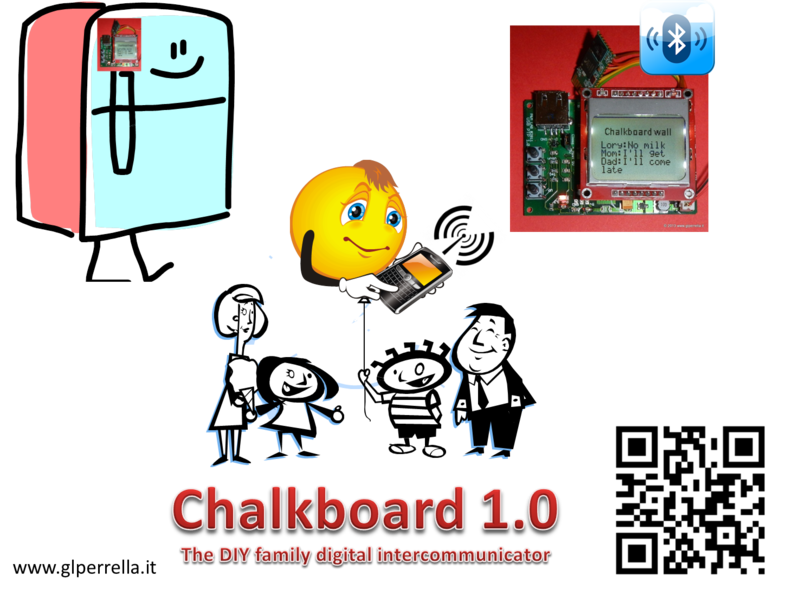 Imagine to have a little screen on the fridge, and the family communicate each other through a digital chalkboard simply writing short phrases (no milk, buy some eggs, i come late tonight etc). In every common family is normal that due the city lifestile, the members can cross them only for few time, from the morning to the evening when normally, child go to the school, father and mother go to their work.